The 2018 winner of the annual Encore Christmas Cake Competition was Fairmile Grange care home in Christchurch! 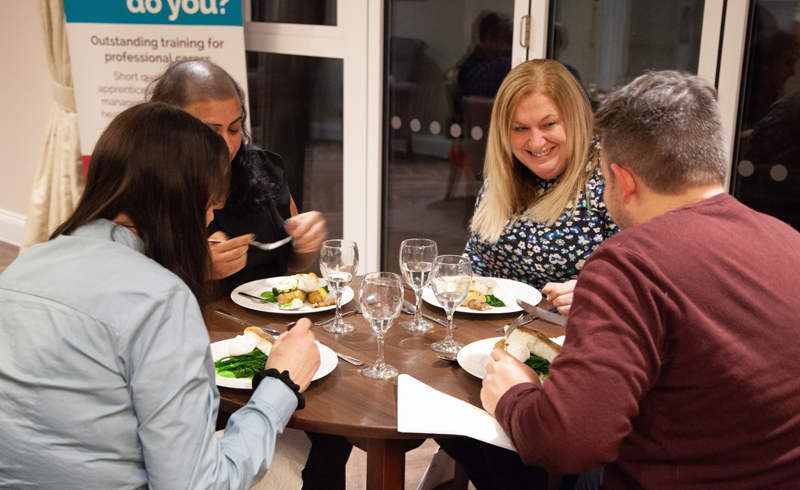 To celebrate National Apprenticeship Week, Encore Care Homes teamed up with HIT Training to host an event for local catering apprentices working in the health and social care sector. 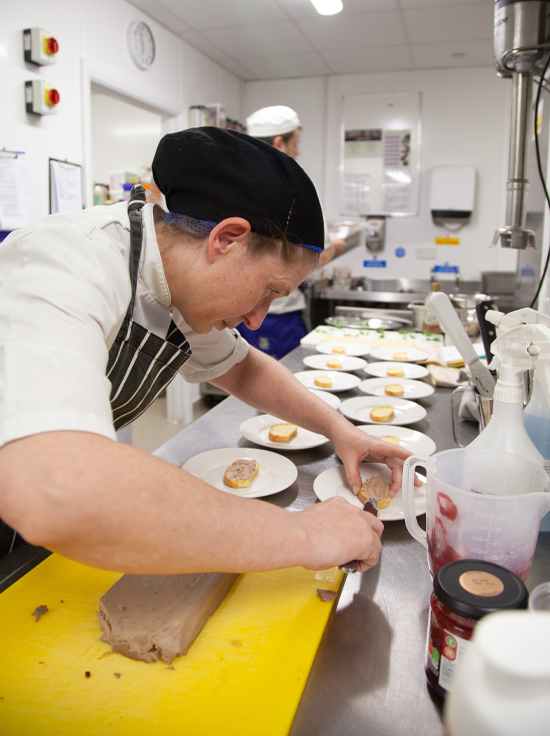 Held at Great Oaks in Bournemouth, which is managed by Encore, five apprentices (two in front-of-house and three in the kitchen) had the opportunity to showcase their culinary skills by preparing a diverse menu for all guests to enjoy. 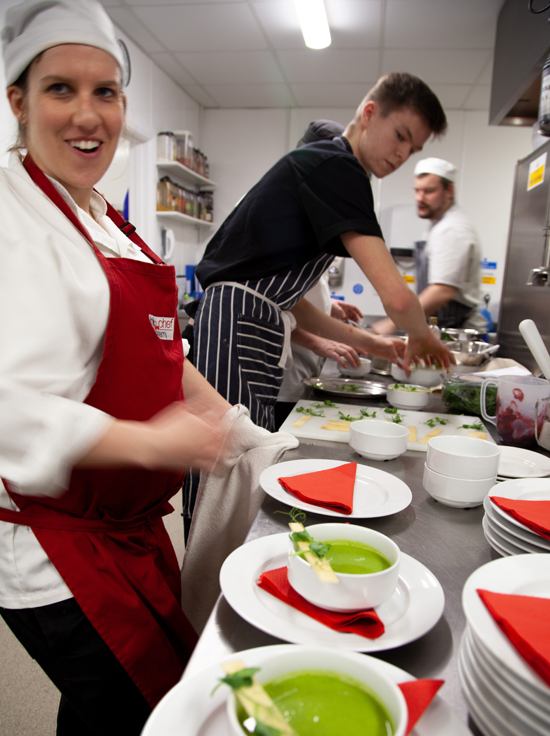 The five course taster menu demonstrated how the apprentices can work together to produce appetising dishes that meet specific dietary needs such as dysphagia. 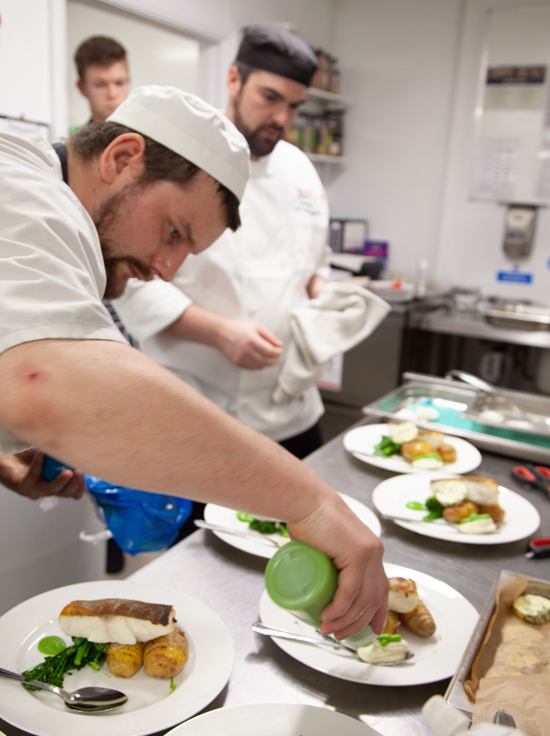 Sam Davey, an assistant chef at Great Oaks, was one of the apprentices who took part in the demonstration and prepared dishes which included maple syrup glazed cauliflower steak and a pan-fried fillet of cod. 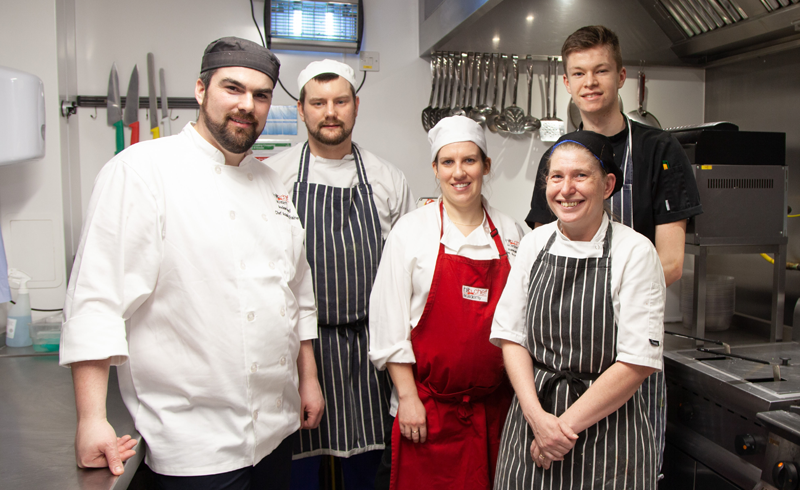 All of the apprentices who participated in the event are working towards their Level 2 Commis Chef Apprenticeship and their Level 2 Award in Professional Cookery in Health and Social Care. The course is specifically designed to enable students to develop their awareness of diet and appetite issues, as well as the importance of nutrition and hydration in a health and social care setting. Luke Wiltshire, learning manager at Encore, added: “At Encore we are proud of the strong, diverse teams which we have in each of our homes. Apprenticeships ensure we future-proof our workforce by allowing them to bring a whole new range of skills and experience to the role.